Wisconsin mozzarella in a light wonton wrapper. Topped with shaved parmesan & served with a side of marinara sauce. Slow braised angus corned beef, farm swiss cheese & sauerkraut in a wonton wrap, fried to golden perfection. Served with our house 1000 island dressing. Wisconsin farm white cheddar cheese curds. Served with a side of chipotle ranch dressing. Created by our very own Britt! Grape tomatoes tossed with olive oil, garlic, fresh basil & a balsamic reduction drizzle. Served with toasted garlic naan. Five pickle spear in a Spotted Cow tempura, deep fried & served with a side of Steny's famous Bloody Mary aioli. A one pound warm pretzel from Milwaukee Pretzel Company with your choice of ale mustard or beer cheese sauce. Share with friends! A combo of your favorites. Spinach artichoke dip, chicken tenders, mozzarella wraps, cheese curds, reuben rolls and homemade tortilla chips. Served with BBQ, ranch, chipotle ranch, marinara and a side of 1000 island dressing. Blend of roasted jalapenos, cheddar cheese, cream cheese, scallions, bacon, and Mexican spices. Baked to golden perfection. Served with tortilla chips and salsa. A medley of baby chopped spinach, chopped artichoke hearts, cream cheese, sour cream & BelGioioso parmesan cheese. Served with tortilla chips and toasted bread. smoked gouda cheese and fresh cilantro. Served with toasted garlic naan bread. House marinara topped with herb goat cheese and baked to perfection. Served with toasted garlic naan bread. Steny's Fries are all hand cut and made to order. Definitely enough to share! Steny's Fries are all hand cut and made to order. Served with a side of house-made cheese sauce. Steny's Fries are all hand cut and made to order! Topped with our award winning chili and a side of house-made cheese sauce. An Asian-Mex infusion. Chopped romaine lettuce, cabbage, shredded carrots, Haas avocado, cucumber & grilled sweet and spicy garlic chicken breast. Tossed with Asian sesame ginger vinaigrette & tortilla strips. Spring mix, BelGioioso bleu cheese crumbles, tomato, applewood smoked bacon, roasted corn & red onion. Topped with an over easy egg & Haas avocado. Our award winning recpie made fresh in-house. Sweet ‘n savory BBQ with pulled chicken, Monterey cheddar-jack cheese, shaved red onion, applewood smoked bacon, pickled jalapenos, pineapple & fresh cilantro. Garlic olive oil, Roma tomato & fresh mozzarella toasted to perfection. Topped with fresh basil & toasted pine nuts. Sliced Italian beef, BelGioioso bleu cheese crumbles, caramelized onions, baby arugula & a garlic oil drizzle. Herb goat cheese spread, artichoke hearts, Roma tomato, red onion, mushroom, green & red bell peppers. 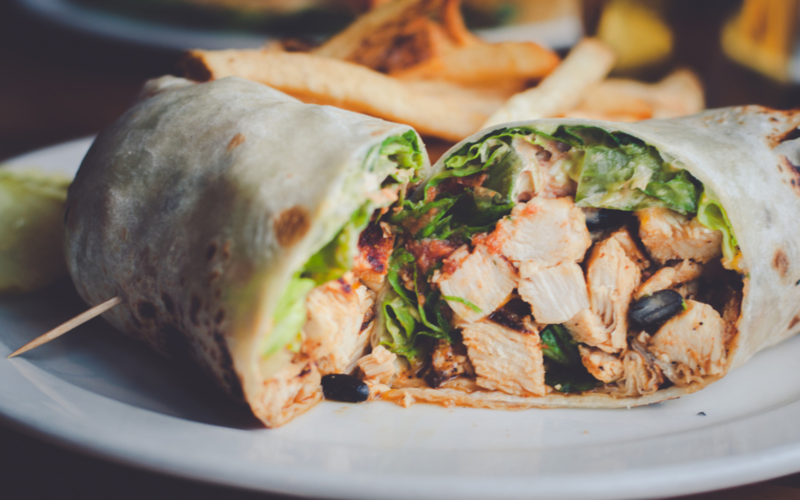 Grilled or crispy chicken with lettuce, tomato, drizzle of chipolte mayo & your choice of cheese. Wrapped in a warm flour tortilla. Sauce it up! 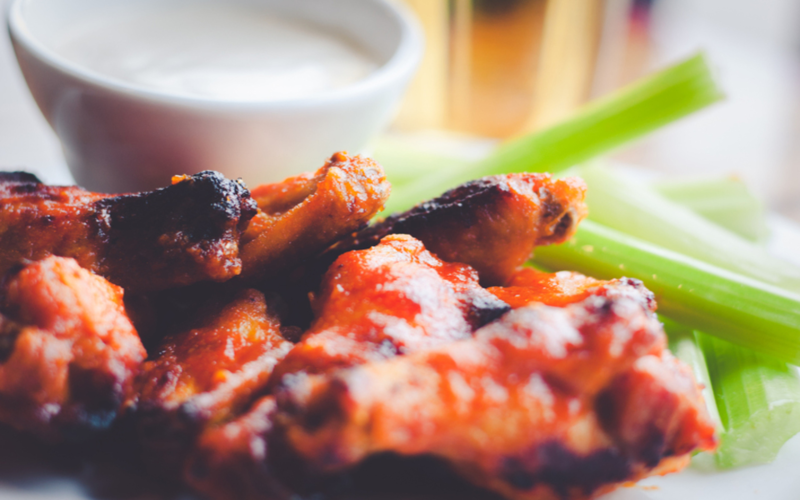 Try your chicken tossed in one of our signature TB wing sauces! cheese & romaine lettuce wrapped in a warm flour tortilla. Spring mix, red onion, shredded carrots, cucumber, roasted red peppers, tomato, pickled jalapenos, black olives and Tzatziki sauce wrapped in a warm flour tortilla. Black angus beef with bell peppers, onions, mushrooms and Wisconsin cheese curds. Wrapped with lettuce, tomato & roasted garlic aioli in a warm flour tortillia. Thinly sliced turkey, jalapenos, applewood smoked bacon, cheddar, pepper-jack & chipolte mayo. Wrapped in a warm flour tortilla. Bacon, lettuce and tomato with mayo on toasted white bread. Make it a club with turkey and ham for $8.95! Halt pound Montreal grilled chicken breast, beefsteak tomato, romaine lettuce & red onion. Finished with roasted garlic aioli on a hoagie bun. Try it crispy and/or tossed in one of our signature TB wing sauces! Grilled cheese extraordinaire! Smoked gouda, pepper-jack, Wisconsin sharp cheddar, roasted red bell peppers, smoked pork belly & avocado on sourdough bread. Black angus steak seared to perfection with green bell peppers & Spanish onion. Topped with philly cheese sauce. Served on a Hoagie bun. Rosemary & garlic roasted prime rib, green and red bell pepper saute, button mushrooms & giardiniera. Topped with pepper-jack cheese & Tzatziki sauce on a hoagie bun. An Irish-American classic! Guinness braised black angus corn beef, sauerkraut, Wisconsin Swiss cheese & house 1000 island on Marble rye. Slow braised pulled pork tossed in a Memphis BBQ sauce. Topped with coleslaw on a toasted brioche bun. House pulled pork, pit ham, with Wisconsin Swiss cheese, puckered pickles & dijonaise dressing on a hoagie roll. Thinly sliced turkey, jalapenos, applewood smoked bacon, cheddar, pepper-jack & chipotle mayo. Served on sourdough bread. House-smoked brisket topped with caramelized onion. Finished in our house Memphis BBQ Sauce. Served on a brioche hamburger bun. Marble rye piled high with our house pastrami, Puckered pickles & horseradish aioli. Start with a half pound grass-fed angus patty, then add your choice of cheese, veggies or our house prepared meats at additional cost. Topped with cheddar cheese, red onion, lettuce & Steny sauce. 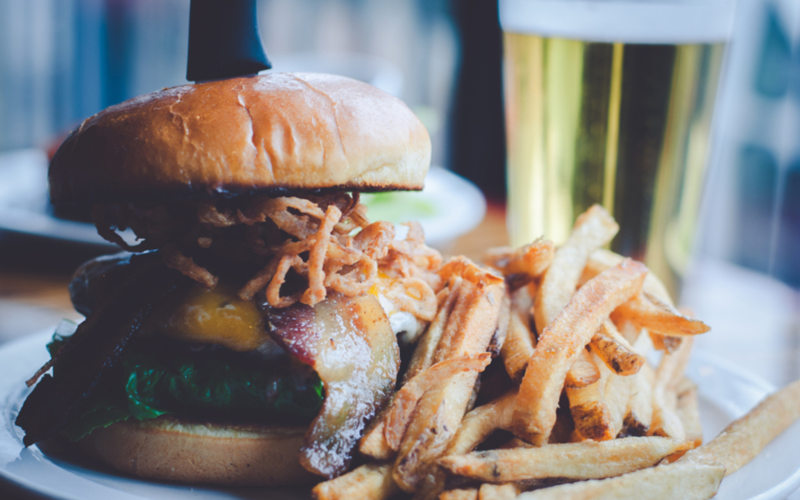 Topped with lettuce, tomato, applewood smoked bacon, haystack onions, swiss and cheddar cheese. Topped with house smoked pork belly, jalapeno saute, smoked gouda & Memphis BBQ. Topped with applewood smoked bacon, Wisconsin pepperjack cheese, guacamole, roasted jalapeno aioli, and pico de gallo. Topped with andouille sausage, green and red bell peppers, caramelized onions, Wisconsin sharp cheddar & finished with tomato bacon jam. Half pound burger with a brat patty, Louise Demise beer onions, Wisconsin cheddar and Swiss cheese, romaine lettuce, beefsteak tomato & roasted garlic aioli. House-made chorizo patty, spring mix, Wisconsin pepper jack and gouda cheese, Haas avocado, pico de gallo and cilantro lime cream sauce. House-made turkey burger with spring mix, beefsteak tomato, choice of cheese & finished with cranberry aioli on a brioche bun. Homemade southwest seasoned black bean patty filled with roasted red peppers, corn, jalapenos and cilantro. Served on a brioche bun with spring mix, chipotle mayo and tomato. 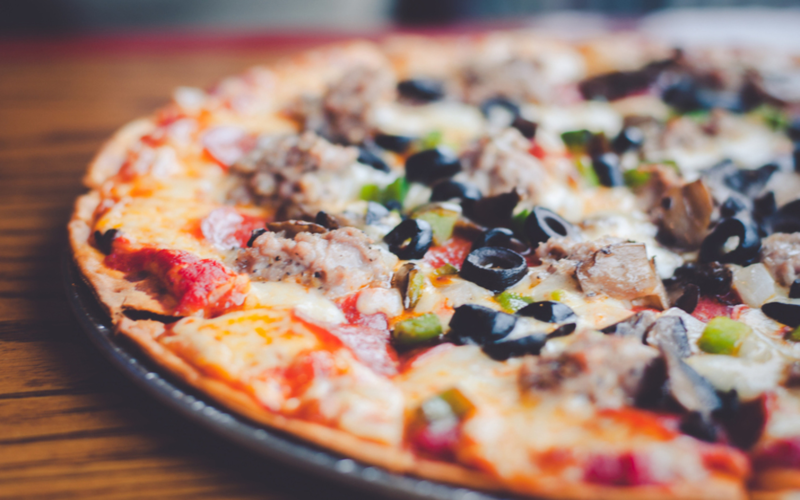 Pizza Steny's pizzas are handcrafted, thin crust and stone fired. Cheese, sausage, mushroom and onion. Cheese, sausage, pepperoni, mushroom, onion, green pepper and black olives. applewood smoked bacon. 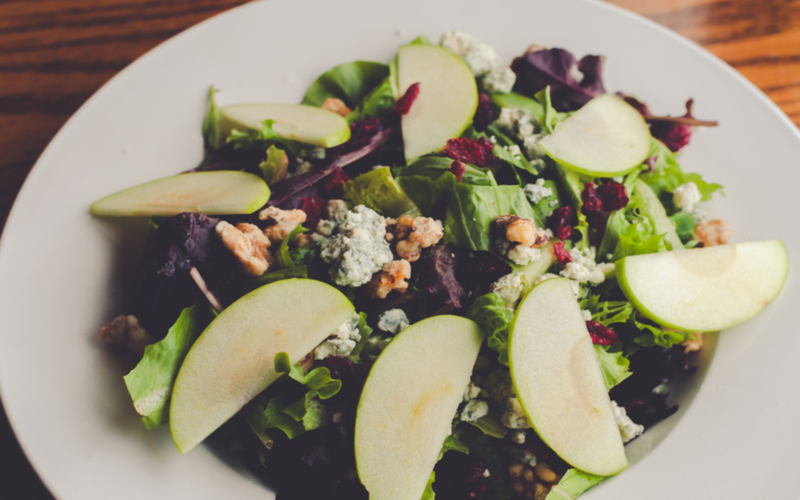 Baked to perfection, then finished with crisp romaine lettuce & our ranchero sauce. Memphis BBQ sauoe base, house pulled pork, pickled jalapeﬁos, caramelized onions & Monterery cheddar-jack cheese. Finishied with creamy house slaw! Garlic oil base with roasted garlic, fresh mozzarella, artichoke, Spanish onion & garlic spinach. Topped with parmesan cheese. House red pizza sauce with Grande mozzarella cheese, red onion, chicken tossed in your favorite TB sauce & finished with bleu cheese dressing. Icelandic cod is beer battered and deep fried to perfection. Served with a side of coleslaw, tartar sauce, buttered rye bread and your choice of side. Icelandic cod seasoned to your liking and baked. Choice of Cajun, lemon pepper, Jamaican jerk or original. Served with coleslaw, tartar sauce and your choice of side. Your choice of pan fried or deep fried lake perch, served with coleslaw, tartar sauce and your choice of side. 8oz. 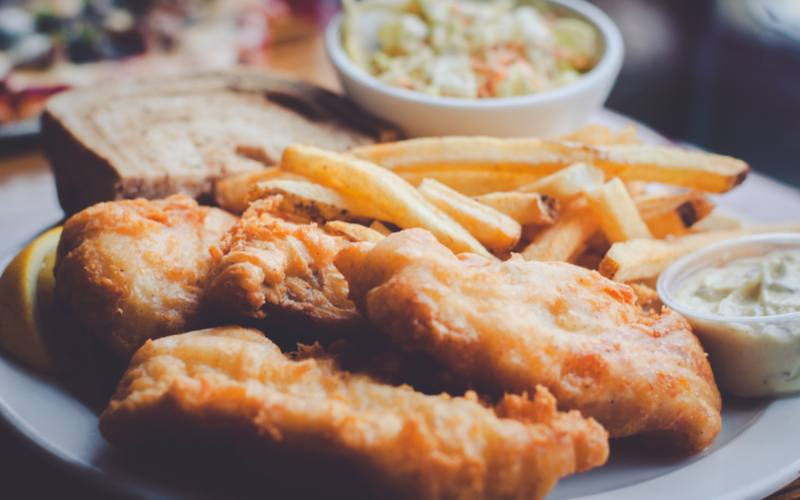 Canadian Walleye filet served deep fried or pan fried, served with coleslaw, tartar sauce and your choice of side. Beer battered and fried cod topped with American cheese and lettuce. Served on a toasted bun with a side of tartar sauce. Served with your choice of side. $14.99 for the main burger. $54.99 if you want the rest.